First line: We begin with a mystery. I grabbed this book because of the cover (gorgeous) and the fact that I'm not a huge Jane Eyre fan and I kind of want to be. (I mean, it seems like a book I should be all over.) I love books about books, stories that dive into the nitty-gritty and ineffable magic of writing a novel. And I'm always up to learn more about books and how, possibly, to read them. But this one really disappointed me. Pfordresher's argument -- his 'secret history' -- is that Brontë mined her own life for Jane Eyre. (No duh.) But he pushes a literal person-for-person sort of equivalency that really disappointed me; while arguing for Brontë's creative genius, I couldn't help but feel like he was minimizing it in this manner. There are also some intense leaps that just seemed a stretch to me. 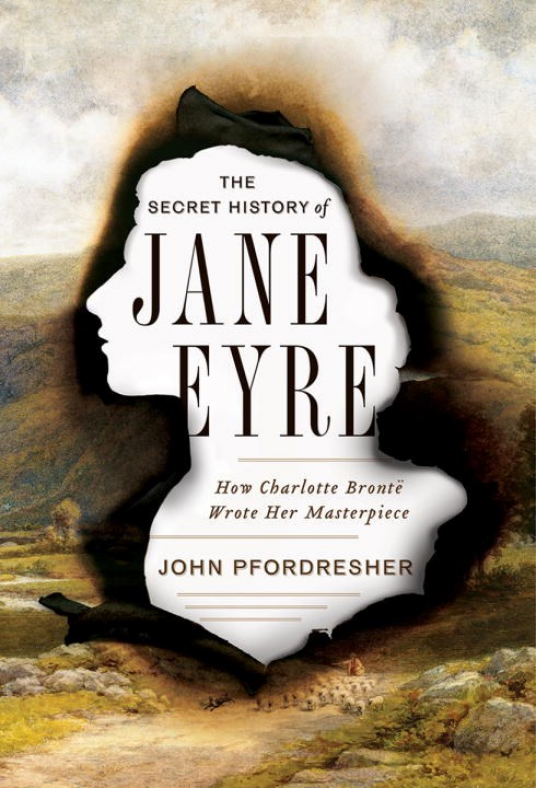 For example, Rochester's agonizing sexual frustration reflects "...a sexual energy Charlotte Brontë knew, daily, at Haworth," (p82), from the apparent expression of her sexually frustrated father. (Perhaps true, but also, ew. Really?) I've got five pages of highlights of moments like that; Pfordresher is bold, I'll give him that. My biggest takeaway of this read was a developed dislike for Brontë as a person. In Pfordresher's hands, she seems to hate other women, bubbles with barely concealed disdain for the world around her save for her beloved moors, and wanted desperately to get into a dom/sub romantic relationship with someone. I'd love for a Brontë and/or Jane Eyre fan to read this one and share their thoughts, because I can't tell if I'm not getting it or not. It's a short read (191 pages in my edition) so someone pick it up and discuss with me! I'm not an Eyre fan so I'll probably skip this. Yeah, I was hoping it'd make me love the book more, but...alas, I still don't see the appeal of Rochester. Arrgh! I love Jane Eyre, but I'm steering clear of this one. I'm begging my JE loving friend who teaches it to read this one so we can discuss because as a JE lover, I'm wondering if anything might resonate...? Maybe...? I had not heard of this one and haven't read Eyre. I'm not sure his arguments are sound, at least from what you've posted here. Interesting though. Hadn't heard of this one. Interested. Per my previous note, this perked my interest as I'm determined to finish reading 'Jane Eyre' this year... it's only taken me nearly four years since I first started it! *le sigh* Ooh dear -- I definitely don't want to read this now... I think it sounds more perverse than insightful - I nodded in agreement with your 'ew' vibe... for me, it's not the fact the story is hard to read or even attach myself inside - I fell for Jane Eyre from the 1996 film adaptation - years ago, but what takes me in/out of reading Eyre is my personal life! lol As crazy as that sounds, Eyre requires a particular level of concentration - to truly understand the layers and get into the characters' lives. I felt the same way when I was attempting to read "I Capture the Castle" last year - I need to re-queue that one from the library this year after I get through what I plan to read this January. Sometimes I think when writers try to etch out 'origin stories' of Classical works -- they either err on the side of caution to expound into something 'unseen/unknown' or they go down a rabbit hole of supposition that might not even have been a farthering of the truth. It's hard to say with this one - I'm not the right Eyre appreciator to lend a hand. Did your Eyre friend help! ?